A panel discussion on the role of the Catholic Church in the cultural and political debate about marriage will take place at 7 p.m. Monday (April 27) in Room 141 of DeBartolo Hall at the University of Notre Dame. According to the organizers of the event, the discussion will address such questions as: What is marriage, and why does it matter? How can the Catholic Church model pastoral leadership amid heated debates about it? 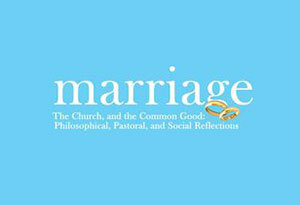 And how might the Church continue its ministry amid a shifting marriage landscape? Originally published by Michael O. Garvey at news.nd.edu on April 24, 2015.